Set in modern Tokyo, young people come together to weave an epic tale alongside heroes from an alternate world. 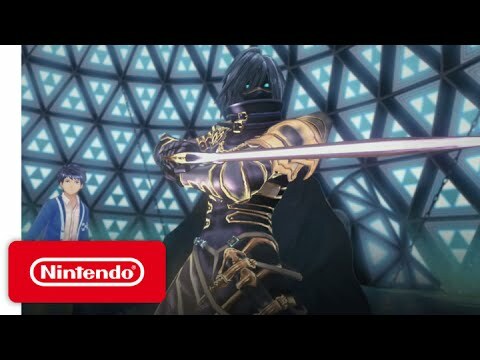 This brand-new RPG, developed by ATLUS, is infused with elements of the popular Fire Emblem series. In the struggle between the worlds of glamour and darkness, these young heroes rise to face the challenge. 'Mirages' – beings of immeasurable power hailing from another dimension – have begun to invade our world. Some are evil, but others are drawn to humans with tremendous creative potential and have shared their powers to guard humanity. The young heroes fight as Mirage Masters and, at the same time, have big dreams to become great entertainers. They polish their singing and acting skills in the entertainment business in their daily life, and work as artists. They must confront not only the invading Mirages, but also the world of entertainment as they fight their way to stardom.